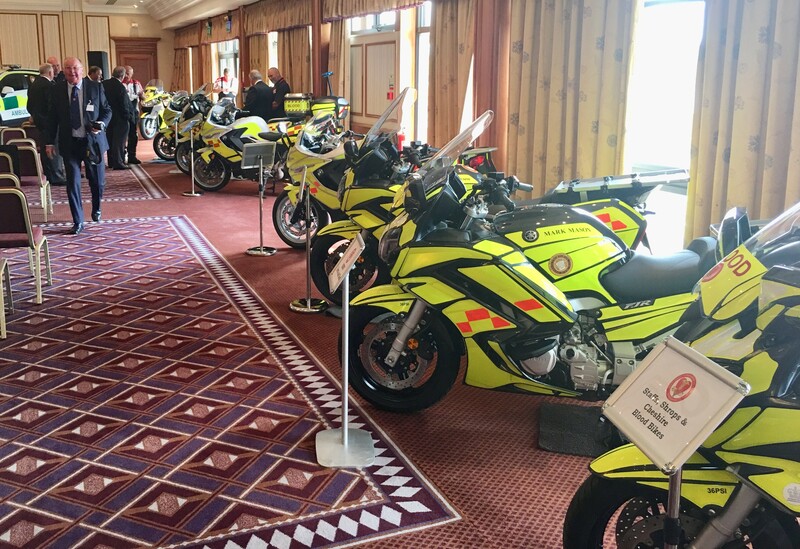 Back in January the Grand Lodge Mark Master Masons made an incredible donation to the Blood Bike community of over £300,000! 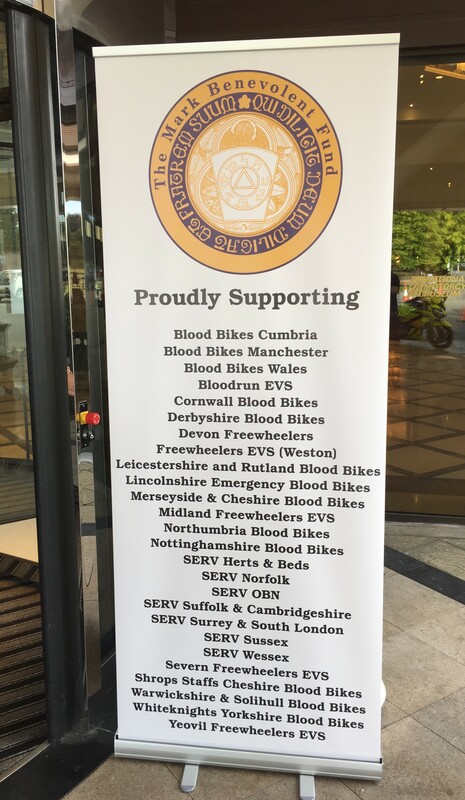 The charities were assessed and chosen on their merits and on Friday 17th our chairman Oliver Cufflin and Colin Brink attended the NEC for the official handover of an amazing 9 motorcycles and 8 cars. Our group are proud recipients of a new BMW F800, which is a very welcome addition to our fleet and will enter service shortly, once it has been prepared for operational life. 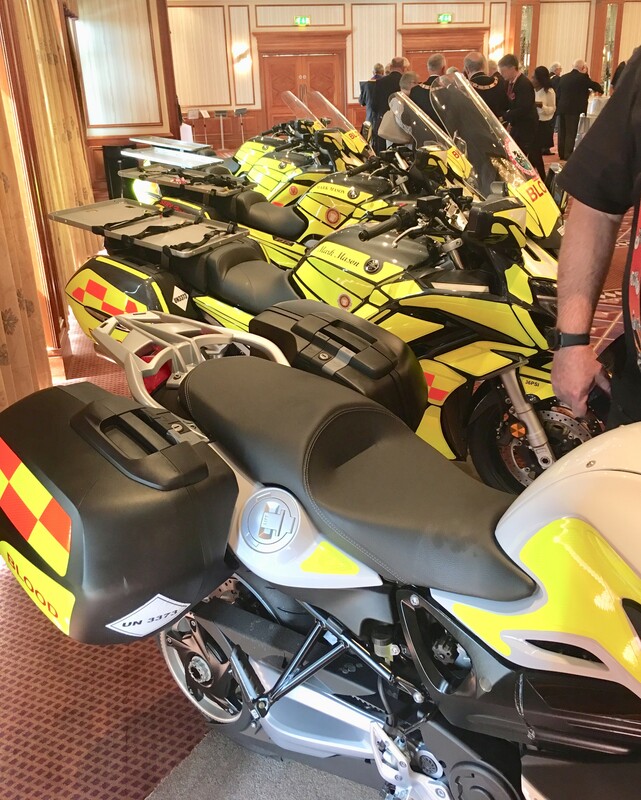 Our chairman commented on how humbling the event was, seeing so many groups benefiting from the donation and having a chance to be a part of such an amazing community of Blood Bikes, as hundreds of members joined the celebrations.